Deborah Manchester gave Wheeler Ball Field to the town for “the children of Adamsville” in honor of her nephew, Philip Manchester Wheeler, and great-nephew, Stafford Manchester Wheeler who was killed in World War II. Miss Debbie worked for many years in Manchester’s Store. She had no children of her own, but for six months of every year she and her sister Lizzie and her brother Abraham raised their orphaned niece and nephew. The field has been a gathering spot for local kids for decades, first for informal pick-up games and today for the local Little League. In the 1940s and 1950s, local organizations often held bake sales on its stone walls. 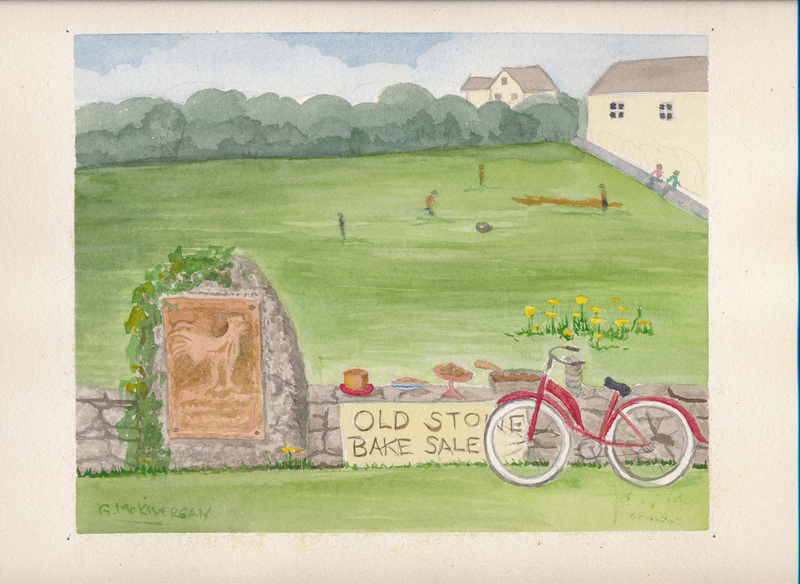 "Adamsville Bake Sale" : This painting by Grace McKivergan captures the central role that the Wheeler Field played in the lives of Adamsville residents. Children enjoyed playing baseball and other games on the field, while the surrounding stone walls were the perfect location for community bake sales. 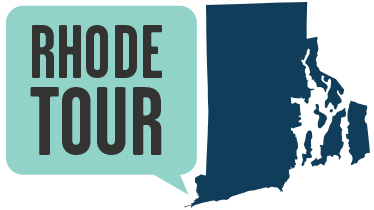 , “Wheeler Field: A Gift to the Children of Adamsville,” Rhode Tour, accessed April 22, 2019, http://rhodetour.org/items/show/120.